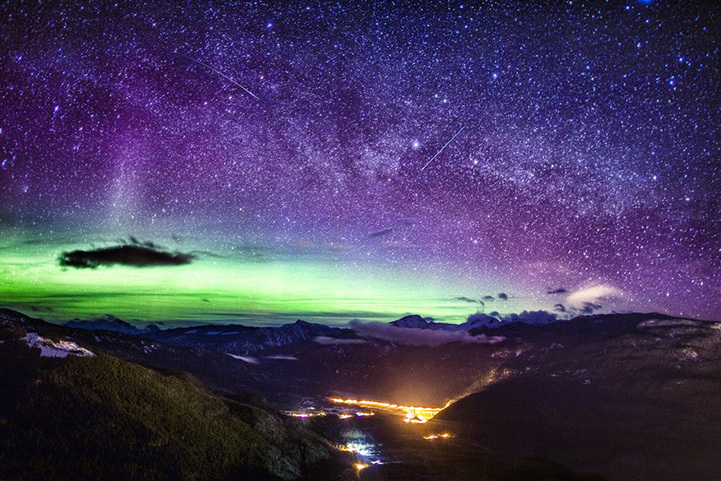 Photographer Richard Gottardo recently captured the spectacular glow of the Northern Lights as they filled the skies above the Rocky Mountains. Although the gorgeous spectacle is difficult to forecast, everything finally came together for Gottardo in mid-April. 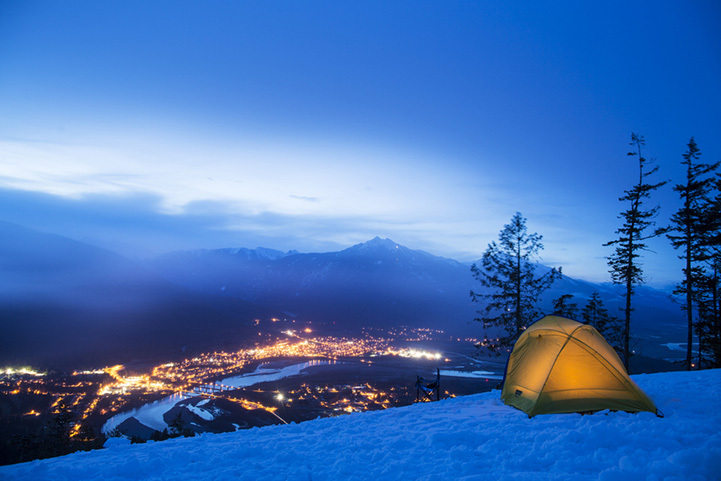 Not wanting to miss the opportunity due to cloud cover, the Toronto-based photographer drove 5 hours to Revelstoke, British Columbia, rented a snowmobile, ventured to the top of a mountain, and camped out overnight in order to document the naturally stunning light display. Proper planning, a minimal amount of cloud cover, and a lot of patience allowed Gottardo to capture this natural phenomenon, where incredibly vivid greens and purples filled the starry night sky. 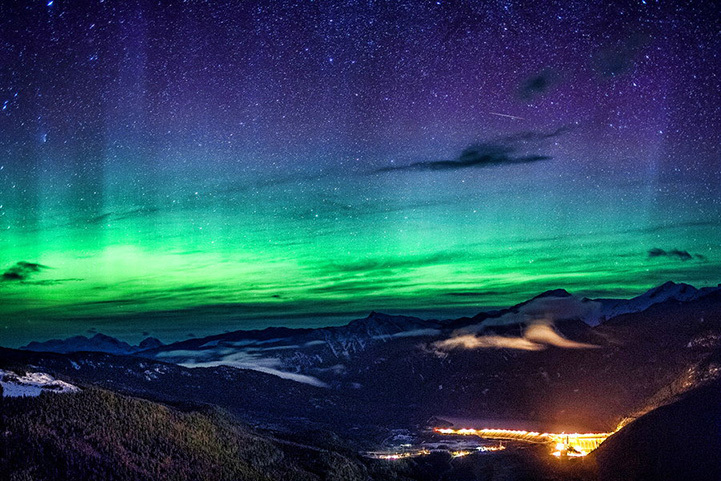 In addition to the still images, he also created a time lapse video which captures the resulting Northern Lights as they dance above Jasper National Park in Alberta, Canada. 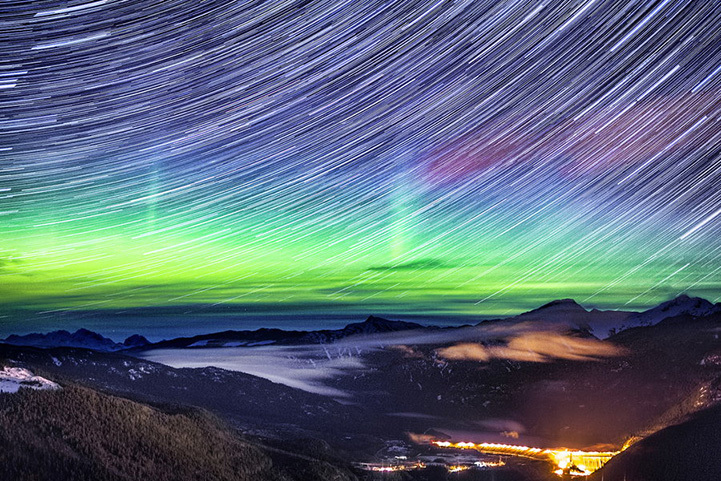 The video contains over 1800 photos shot over a period of 4 hours from midnight to 4am on May 18, 2013.